Idiaper has items that are a little traditional yet modern in style and function. Idiaper offers you a modern twist on a traditional product with the Belted Undergarment. 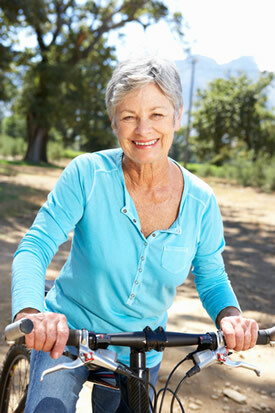 We realize that there is more to the incontinence world than just briefs or diapers. These belted undergarments have wide reusable straps instead of the old thin elastic that used to cut into your hip and waist. They feature button or Velcro closures for adjustability. These manufacturers have brought their technology, innovation, and design to a traditional type of under garment with a twist of the modern needs. Some people just do not care for the feel of a fully encompassing diaper/brief. They may have sensitive skin, or just have personal reasons. These belted garments are open on the sides allowing for air flow over the skin. The air flow allows the skin to breathe and avoids rashes and irritations. Are you having a problem getting your body to fit into the traditional styles of diapers/briefs for incontinence without discomfort or leakage? 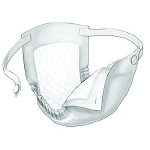 Are you not ready for a full diaper/brief but a pad just does not feel like it is enough? 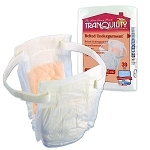 You feel the pads are not enough and worry about possible leakage which can be very embarrassing. Idiaper has items that are a little traditional yet modern in style and function. The belted garment uses a pad, but a much larger one with more coverage. They are wider in the front and back. They are designed for both men and women with moderate incontinence. The leg gathers help insure a good fit with no leakage. Perhaps the feel of a diaper/brief on your sides effects your self-esteem by feeling everyone can tell you have something on. With the open sides there will be no added inches on your hip line. The fully enclosed diaper/briefs are not allowing enough air to your skin that they are causing irritation and rashes. The open sides of the belted garment allows for air flow for a healthier skin. Along with the rustle free cloth-like backings make these belted garments a comfortable fit. Or your waist size is larger than your hip size; you can adjust the belted garment for a better fit for your body form. These belted undergarments have brought comfort and fit to many people who do not have the “cookie cutter” body form. Not everyone has the perfect proportioned body measurements. With the ability to adjust the waist for comfort and fit, these belted undergarments may just be the product for your needs and requirements. Most of the products are a “one size fits all”. However there is the Tranquility that will fit up to a 74” waist with the addition of extender straps. And they are available for light, moderate and heavy coverage needs. If you have any questions or concerns, give the idiaper Customer Specialist a call or send them an email. They are there to assist you in finding the right product for you and your incontinence issues. They have years of experience and are ready to help you.